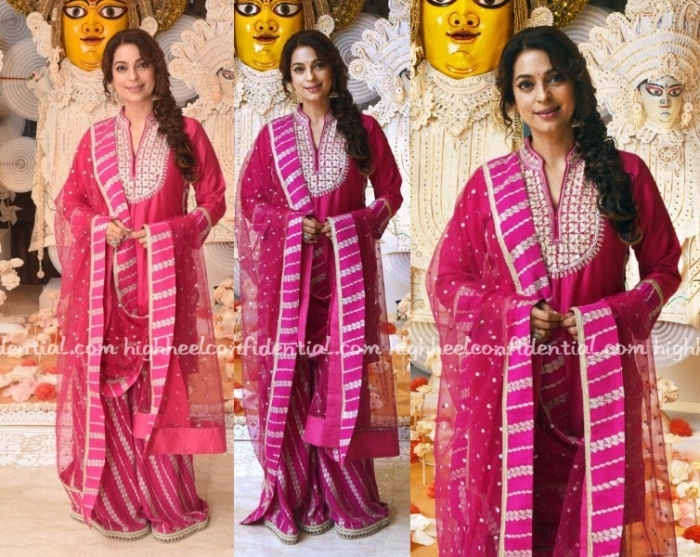 While in Kolkata, Juhi visited a Durga Puja pandal wearing a pink Gopi Vaid sharara. She looked lovely. Wearing Anita Dongre, Juhi attended the inauguration of an exhibition in Mumbai. A matching turquoise ring, big earrings and pair of metallic kolhapuri-wedges rounded out her look. The yellow suit worked well on her. Though I have to add, wish she had traded the ubiquitous wedges for a pair of jootis instead. 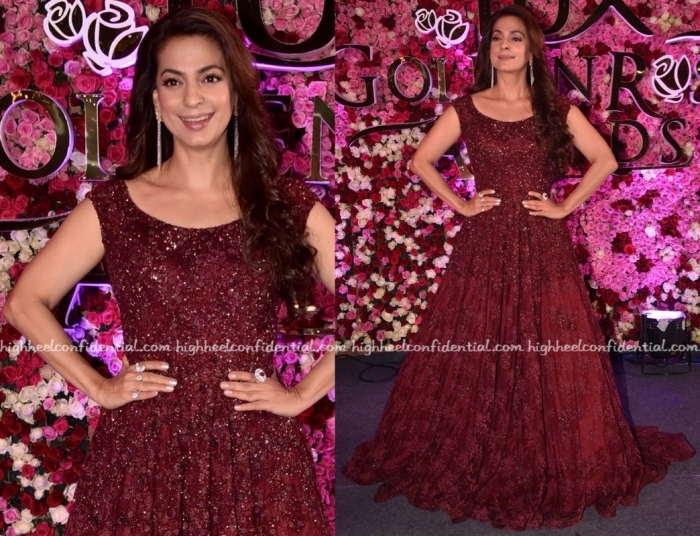 Juhi wore a pink Sabyasachi anarkali to Sonam and Anand’s wedding reception sporting it with a messy braid, silver pumps and a silver clutch. I would’ve preferred a pink clutch for a less sparkly look but she looked pretty nevertheless. 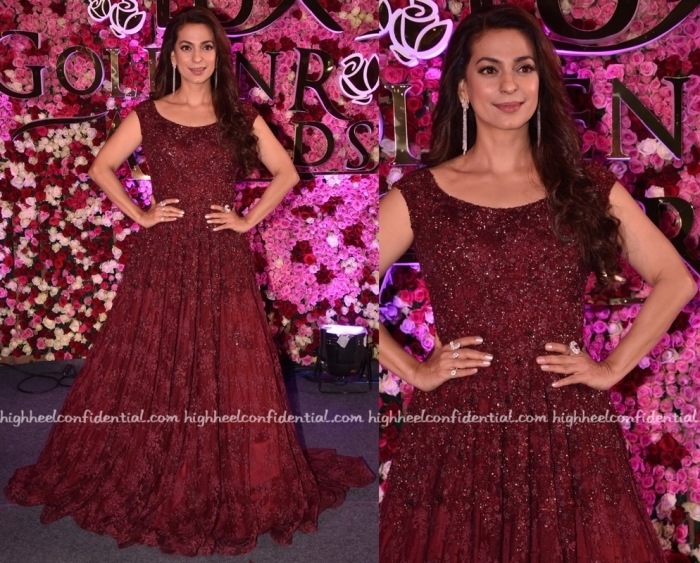 While at a recent awards event, Juhi was photographed in a Dolly J gown. 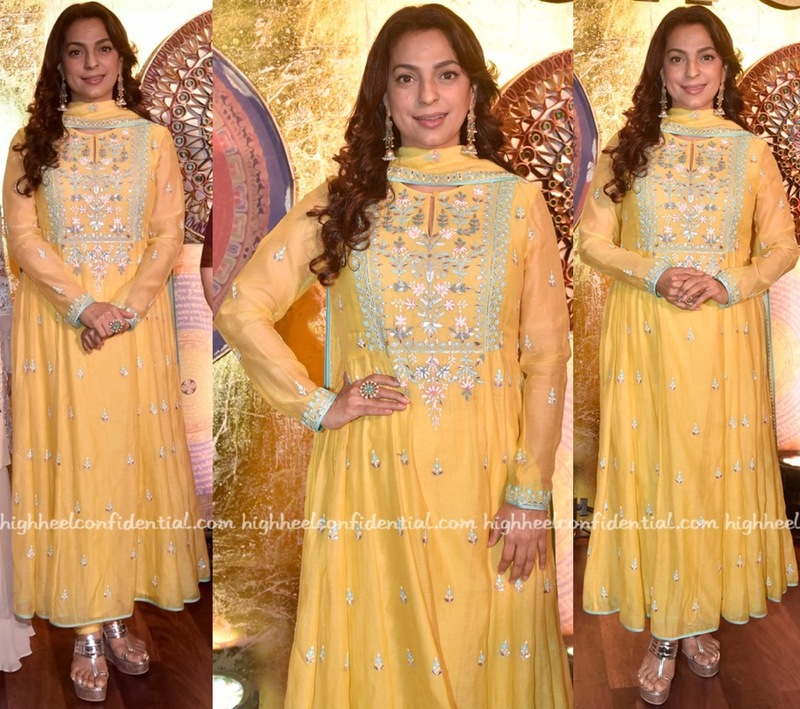 Wearing her hair down, she rounded out the look with jewelry from Gehna. The choice of earrings made the look seem a little dated, wish she had picked a pair of studs instead. That aside, she did look nice.